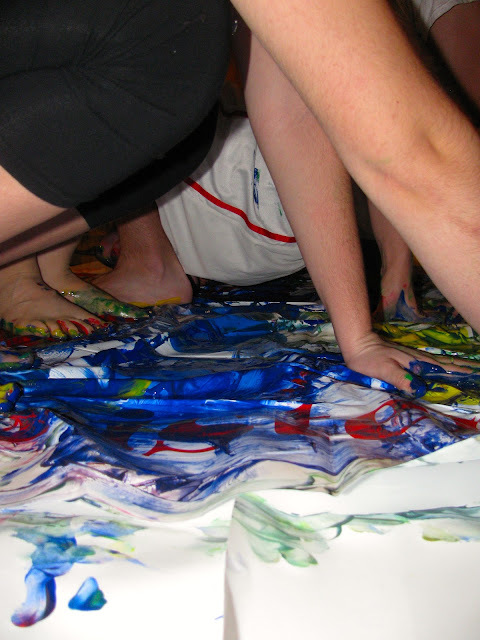 I was like, "Paint? 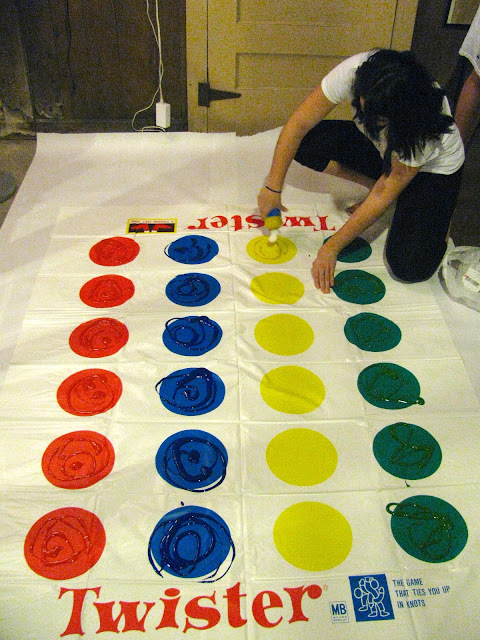 Twister? Where do I sign up?!" I showed the picture to one of my friends, he showed it to his mom, and it was all downhill from there. We bought some washable paints ($1.06 on sale at Michael's. I remember exactly how much the bottle of paint was because the cashier rang up each separately in order to give me the best discount), threw on some old clothes, and poured a healthy dose of paint on each circle. Unfortunately it turns out I'm pretty bad at Paint Twister so I got out early each round. On the bright side, that gave me plenty of time to take pictures. Haha this is kind of awesome. So perfect for a kids party! A-mazing! I have always wanted to do this. Great idea. Аmazing! Its ɑctually aweѕome artіcle, I have got much clear iԀea regɑrdіng frօm this pօst. camping, so here are some quick and easy suggestions for a weekend menu. The relationships that are made can last a life time. You can try a Tanzania Safari that has the Ngorongoro Crater, Kilimanjaro and the Serengeti. your child and you want to gain from a summer camp. could also maximize your time. That is the secret to enhancing the performance of all. and excitements with learning new ways of life. there. Suddenly I remembered the sketch from the holy man on the mountain and ran up the steps to retrieve it. Can I simply just say what a relief to uncover somebody who genuinely knows what they are discussing on the net. side of your story. I was surprised you are not more popular given that you certainly possess the gift. CG weight loss protocol for around $100 or less. without having any assistance of the homeopathic medical doctor. into a pair of skinny jeans will not be a dream after all. to attune different metabolic, circulatory and gastrointestinal processes in between relatively short periods of time.